Nestled in Barrie's Royal Victoria Hospital, PureHealth enhances the journey offering a customer experience intended to encourage well-being. The contemporary design maximizes the welcoming environment while the services offered plant a true interest in healthy living. 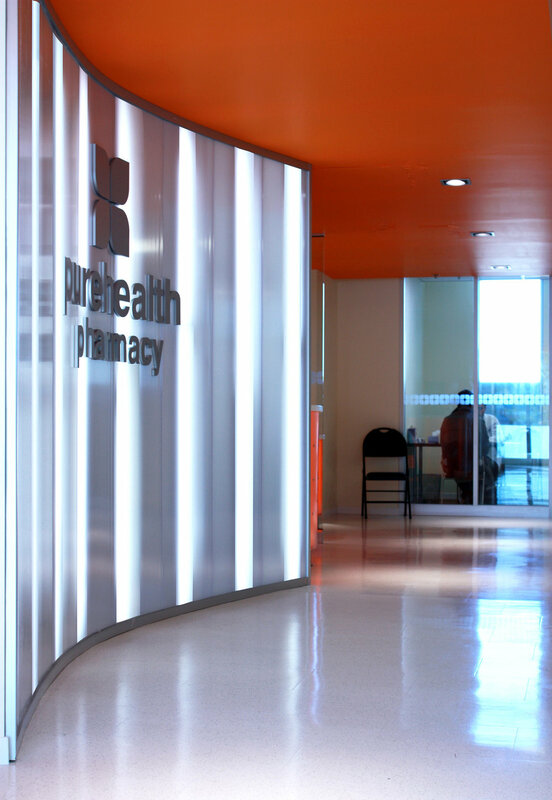 PureHealth recognizes the notion of "Doctor as Teacher" by re-defining the relationship between the pharmaceutical process and users with only a glass wall, concealing the compounding room, a consultation room off to the side, and a seminar room that hosts weekly educational sessions. 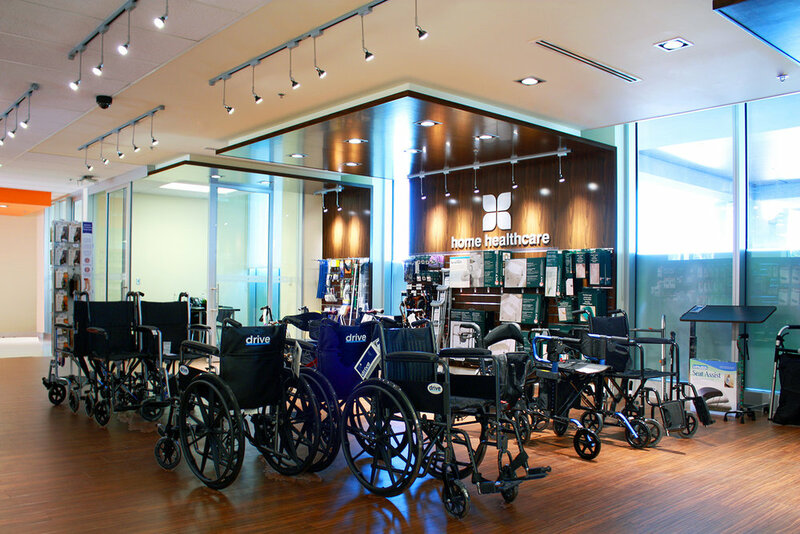 The 7000 SF space leaves plenty of room for a section to browse through home health care options with a comprehensive collection of products. Each interaction is guaranteed to be individualized with a comfortable consultation room and a knowledgeable, caring professional ready for each interaction.